Mounting feet have 9/16″ diameter holes for bolt-on field installation. Available in choices of 7 lengths, 2′ through 8′. Choose a combination of models for distances greater than 8′. 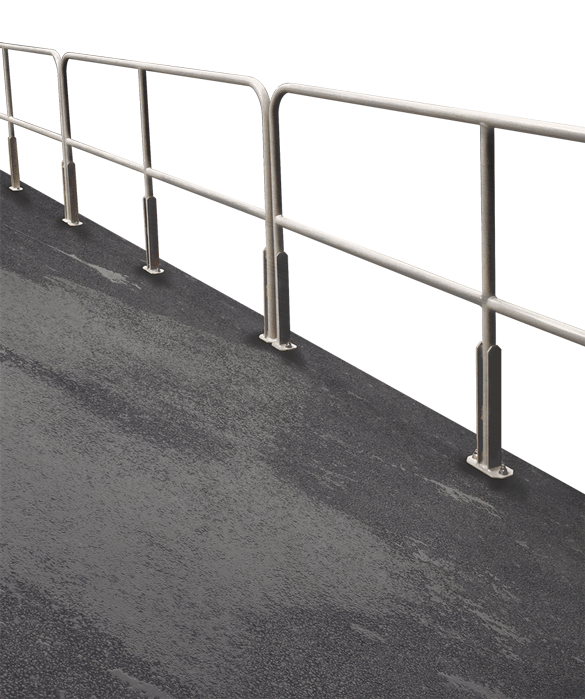 Aluminum Railings meet applicable OSHA standards.